Special thanks to Premier Protein for partnering with me this year to bring you delicious snacks like these Almond Coconut Protein Bars! 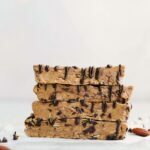 This protein bars recipe is incredibly simple to make, requires ZERO baking, and is made with normal everyday ingredients! No special trips to specialty stores to make these homemade protein bars. 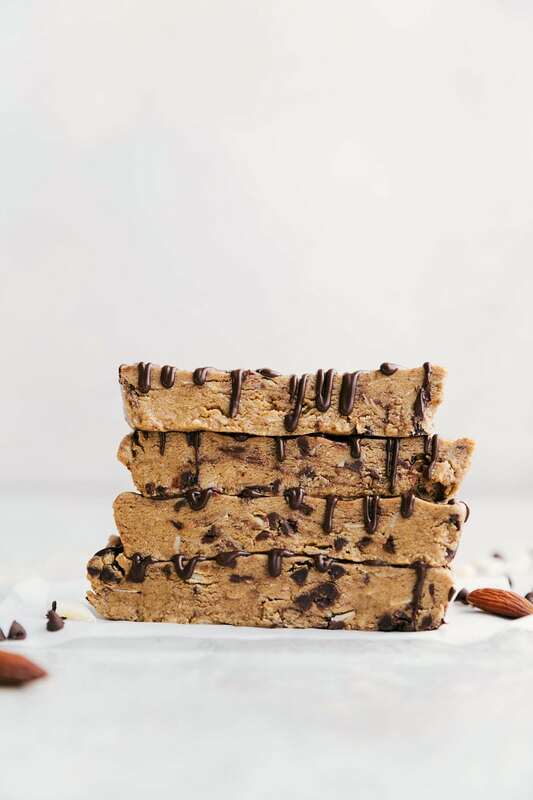 I thought it would be fun to create my own protein bar recipe that is simple to make (no baking required! ), doesn’t require any crazy ingredients, and above all tastes amazing. These protein bars are all three of those things and everyone that’s sampled them have loved them. 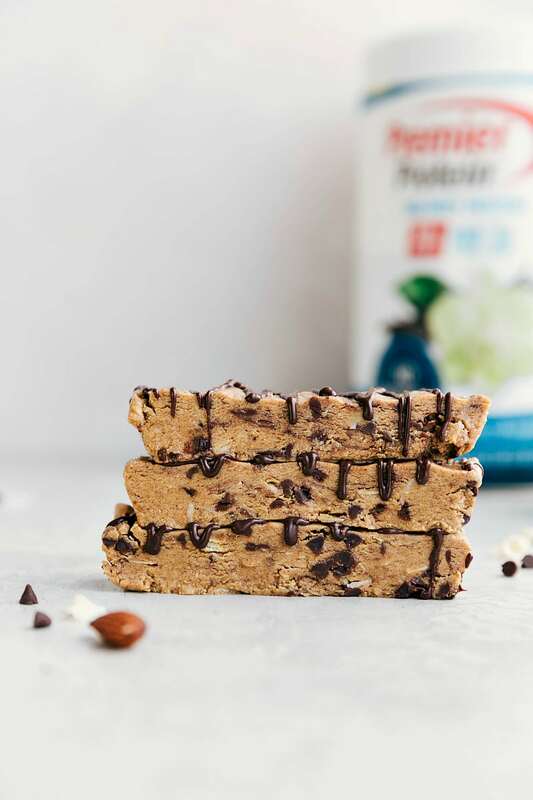 These protein bars take minutes to whip together and in the craziness of summer (and for some back to school time approaching! ), these bars are the perfect snack to prepare and enjoy throughout the week. 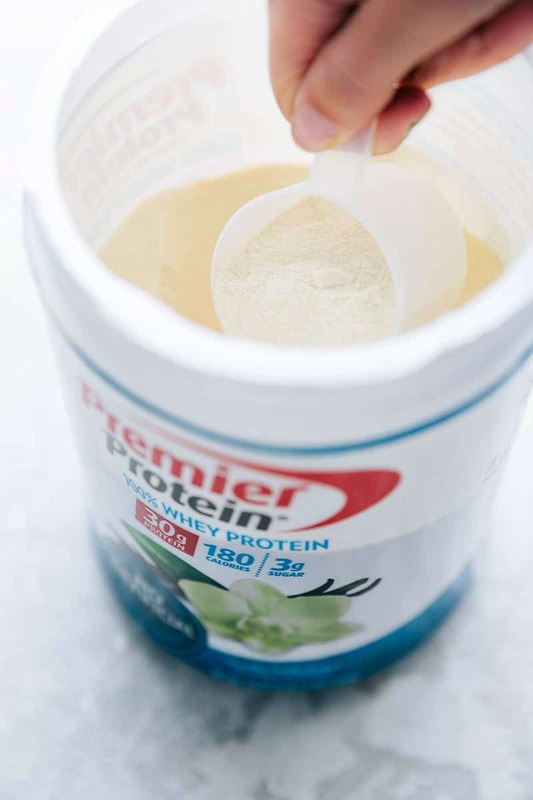 To start off, we’re using my favorite protein powder — Premier Protein’s Vanilla Milkshake Whey Protein. This protein has no artificial colors, flavors, OR sweeteners and clocks in with an impressive 30 grams of protein per scoop. It’s gluten free and the perfect base for these homemade protein bars. 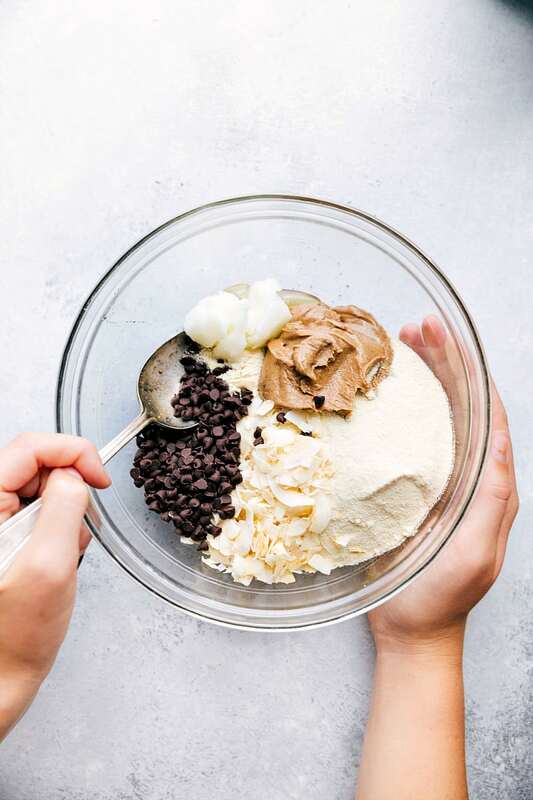 After measuring out the vanilla protein, you’ll add it to a bowl alongside some creamy almond butter, coconut oil, honey, vanilla, salt, coconut, and miniature chocolate chips. You’ll simply stir everything together until you’ve got a smooth (and delicious) mixture. After sampling a few bites, press the mixture into a pan and chill in the fridge for a couple hours. Once they’re firm you can cut them up and eat right away OR add a dark chocolate drizzle to the top. I personally love the chocolate in the bars and on top, but you can omit that top drizzle if desired. 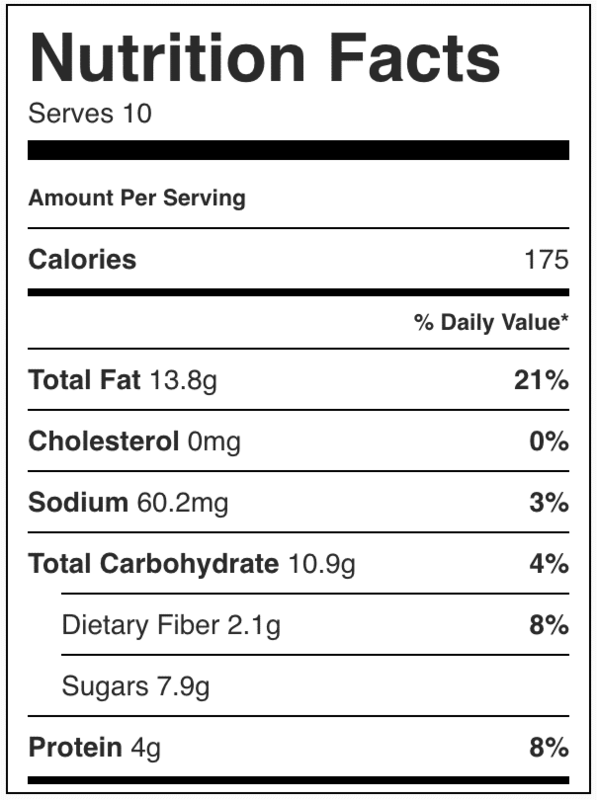 Can I customize the flavor of these protein bars? Yes! These homemade protein bars are easily customizable. You can use Premier Protein’s Chocolate Milkshake Whey Protein in place of the vanilla for a chocolatey protein bar. You can swap out the almond butter for peanut butter if you have that on hand. I do like the almond butter best in these, but peanut butter works great! The coconut flakes can be replaced with coarsely chopped nuts (reduce amount to 2 tablespoons) OR chopped up dates/raisins for a sweeter protein bar. Line an 8.5 x 4.5 inch bread pan with parchment paper or foil. Make sure to leave an overhang with the parchment paper/foil and set aside. In a large bowl, add the almond butter, 2 tablespoons of the coconut oil, and honey. Microwave for 10-15 seconds and then stir until smooth and combined. Add in the vanilla extract, salt (omit if your almond butter is salted), vanilla protein powder, coconut flakes, and miniature chocolate chips. Stir until everything is combined and you have a thick dough. Press that dough into the prepared bread pan. Cover the bars and chill for one hour in the fridge. To add the chocolate drizzle, combine the chocolate chips and remaining 1/2 teaspoon coconut oil in a microwave safe bowl. Microwave in bursts of 15 seconds, stirring in between each burst for 10 seconds until the chocolate is smooth. Transfer the chocolate to a bag and cut off the tip of the bag. Drizzle the chocolate over the bars and allow to set up at room temperature. Store the bars in an airtight container in the fridge for up to 2 weeks. Best enjoyed within 1 week.